Right on the northern edge of Chicago, Rogers Park is a colorful and often-changing neighborhood that’s easy to walk through and always interesting to explore. 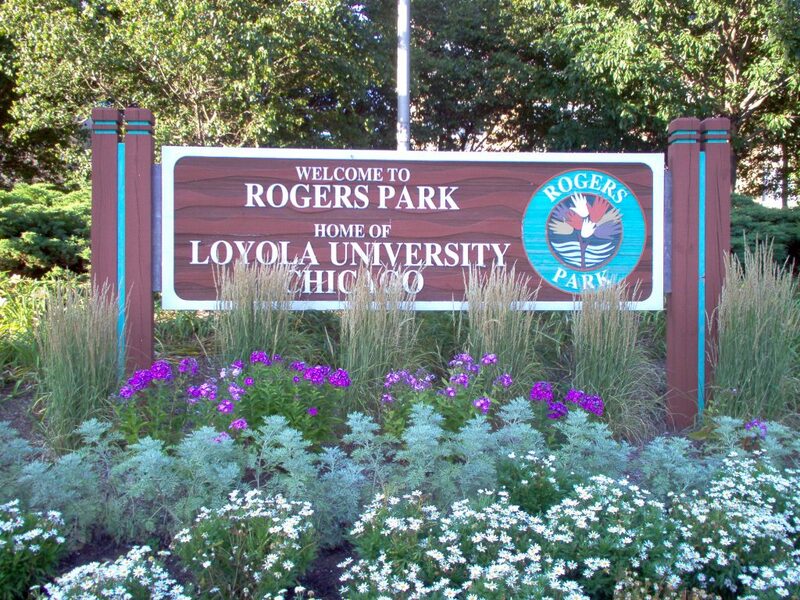 Home to Loyola University, as well as a number of strong cultural enclaves, Rogers Park offers a variety of restaurants and shops, along with a tight-knit community culture. As your go-to Rogers Park movers, we’ll help you become part of this community right away, and you can start finding your new favorite places. A large neighborhood, Rogers Park is home to over 50,000 people. Just under half of them are married, and many have children or live in family units. Rogers Park has one of the highest percentages of college and grad school educated residents in Chicago. Average yearly income is around $50k. Decades before Chicago was founded, two Native American trails converged in the place that’s now Rogers Park: the neighborhood gets its name from a white settler who opened a tollgate there in 1830s. As the Chicago area became more connected by railroad, Rogers Park also grew, and became part of the city in the 1890s. Immigrants from a wide variety of cultures moved in over the next century. Now you’ve got the gist, here are some highlights—and basics—we found to help you start your best Rogers Park life. Loyola Park: Sports venues, fieldhouse, playground, and events. Glenwood Sunday Market: Farmers market from June through October. Mile of Murals: Community art for the public. New 400 Theater: Four screens, full bar. Lifeline Theatre: Live literary adaptations, for kids and adults. Armadillo’s Pillow: Rare and used books. Rogers Park Chamber of Commerce: Community news and resources. Pizza: Giordano’s. Famous for deep dish. Delivers. Italian: J Alberto’s Pizza. For almost half a century. Peruvian: Taste of Peru. Food Network featured. BYOB. Ethiopian: Ethiopian Diamond II. Weekly live music. Mexican: El Famous Burrito. Casual and delicious. Cajun: Chez Delisay’s. Open Wed-Sat. BYOB. Cocktails: Rogers Park Social. Industrial space, communal feel. Beer: Empirical Brew Pub. Newly serves food. Food: R Public House. Pub grub and game watches. Dancing: Jackhammer. Multi level, open til 4am. Hangout: Oasis. Neighborhood landmark, open late. Dive: Cunneen’s. Friendly for humans and dogs. Morse Fresh Market: Local produce and focus. La Unica Food Mart: Small site with cafe. Ellipsis Coffee House: Experimental coffee expertise. Royal Coffee Corporation: Inviting space, Ethiopian beans. High Ridge YMCA: Full facilities and recreation programs. This has been a tiny sampling of the great things you’ll experience at your new Rogers Park home. As a seasoned Rogers Park moving company, we’ve learned all about the staples and cool places in the area. We’re happy to share more! As you’re planning your big move, cross one major thing off your to-do list, and book Rogers Park movers who’ll a take load of stress off your mind. Call us at New City Moving, and we’ll help you move safely, smoothly, and on-schedule, so you can settle right in and start living your greatest Rogers Park life.